Parikshit Sharma received the B.S. and M.S. degree in Physics Engineering from Politecnico di Milano, Italy, respectively in 2010 and 2013. He worked as an intern student for ten months at imec, Belgium, in the field of nanofabrication of photonic crystals and photovoltaics. 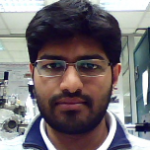 He is currently a Ph.D. student in the NanoBiotechnology and Spintronics (NaBiS) group at the Department of Physics of Politecnico di Milano. 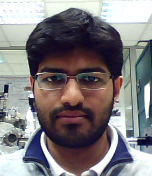 His main research activity involves the fabrication of spintronic devices and their application to biology. M. Monticelli, E. Albisetti, D. Petti, D. V. Conca, M. Falcone, P. P. Sharma, and R. Bertacco, “Towards an on-chip platform for the controlled application of forces via magnetic particles: A novel device for mechanobiology,” Journal of Applied Physics, vol. 117, iss. 17, p. 17B317, 2015. C. Trompoukis, O. E. Daif, P. P. Sharma, H. S. Radhakrishnan, M. Debucquoy, V. Depauw, K. V. Nieuwenhuysen, I. Gordon, R. Mertens, and J. Poortmans, “Passivation of photonic nanostructures for crystalline silicon solar cells,” Progress in Photovoltaics: Research and Applications, iss. April 2014, p. 734–742, 2015. G. Gervasoni, M. Carminati, G. Ferrari, M. Sampietro, E. Albisetti, D. Petti, P. Sharma, and R. Bertacco, “A 12-channel dual-lock-in platform for magneto-resistive DNA detection with ppm resolution,” Circuits and Systems, p. 5–8, 2014.